This is one of the most important days of your life and I will be there to make your wedding day a special one, by making your hair look beautiful. At the venue of your choice I will offer you a professional service while you sit back, relax, sip champagne and let me work my magic! On the day of the trial there will be a non-refundable charge of £60 for 2 hours of hairstyling any additional hours of work will incur a charge of £25 per hour. And if you would like anyone else’s hair styled on the hair trial it will be £25 per person charge! During your trial I always like to try a few options rather than just one per trial, this way we cover all the bases. 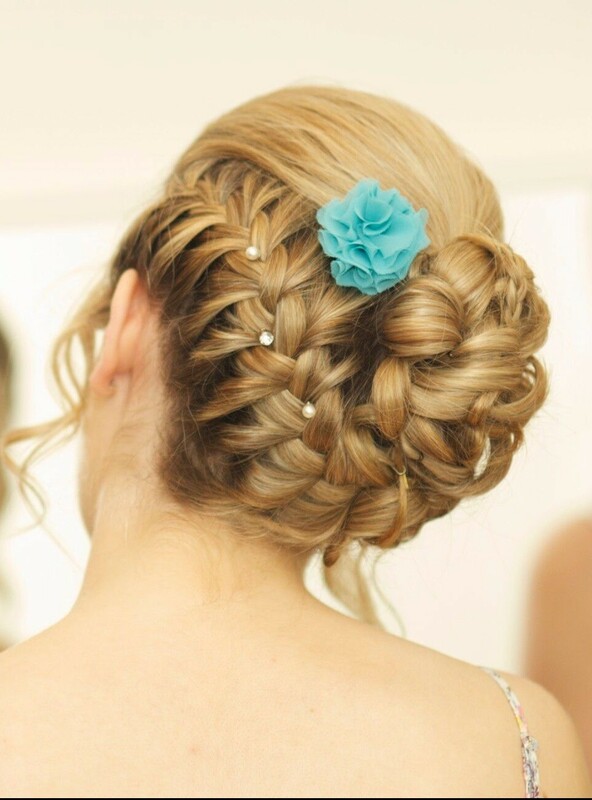 Bridal hairstyling package prices vary depending on the location of the wedding venue and the location of the hair trial. On the day of the service payment methods available are – cash, cheque, debit and credit cards. Amy is a professional, personable, reliable and talented. She will go out of her way for her clients, and offers great advice with regards to hair styling, colouring and also wedding hair design. Can't see myself ever using another 'hairdresser' again.